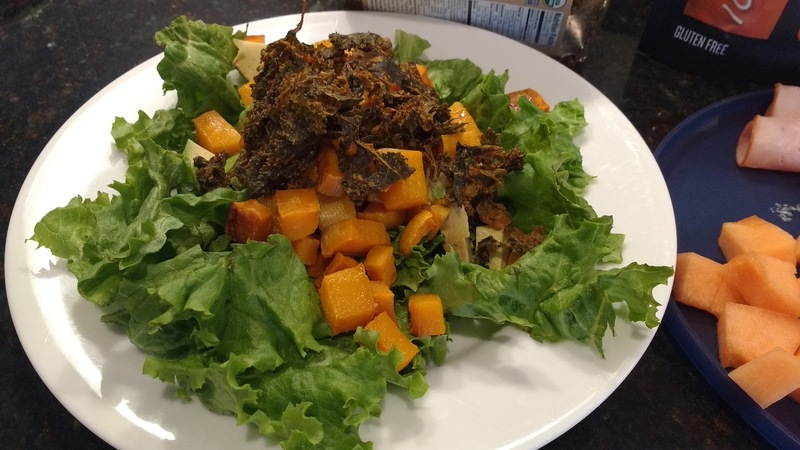 I usually have "junk" salads- I will use whatever roasted veggies I have, 1/2 an avocado, something crunchy- like nuts, tortilla chips and a protein- This one has butternut squash, 1/2 an avocado, and kale chips... 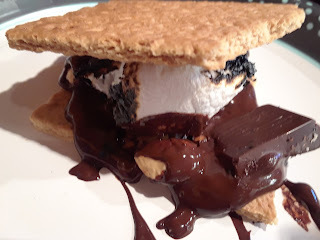 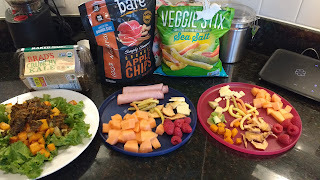 So, I realized this doesn't look super appetizing : ) I think it is the kale chips but it is really tasty- to me anyhow! 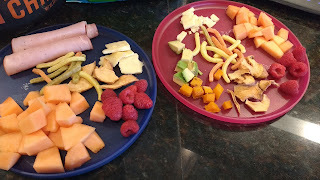 On Luke's plate (blue)- ham, a little cheese, raspberries, cantaloupe, apple chips and veggie sticks. 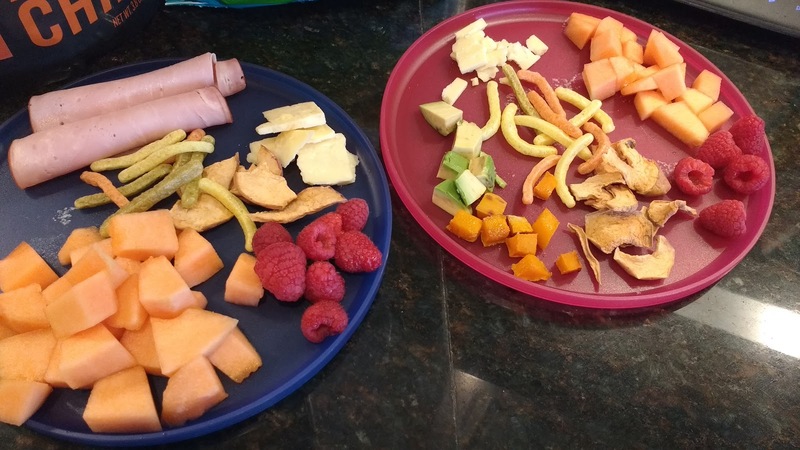 On Eve's plate - avocado, butternut squash, apple chips, raspberries, cantaloupe, cheese and veggie sticks.